Every guitar sold by Cálido Guitars is setup in our shop prior to shipping! The PS70 has a 700mm scale length. The nut width is 52mm for the 6 string PS70 model. The 6 string Classical Bass is normally used in guitar orchestras, classical guitar ensembles, jazz groups, folk groups, and church music groups in much the same way as a standup bass or electric bass. The nylon string Classical Bass generates a unique full, resonant, warm sound. The nylon strings are like the bass strings on a classical guitar in that the core is composed of many thin nylon filaments and then thin silver coated wire is wrapped around the core. Musicians who are use to playing steel string guitar basses are usually amazed with the warm, full sound of these nylon string bass guitars. 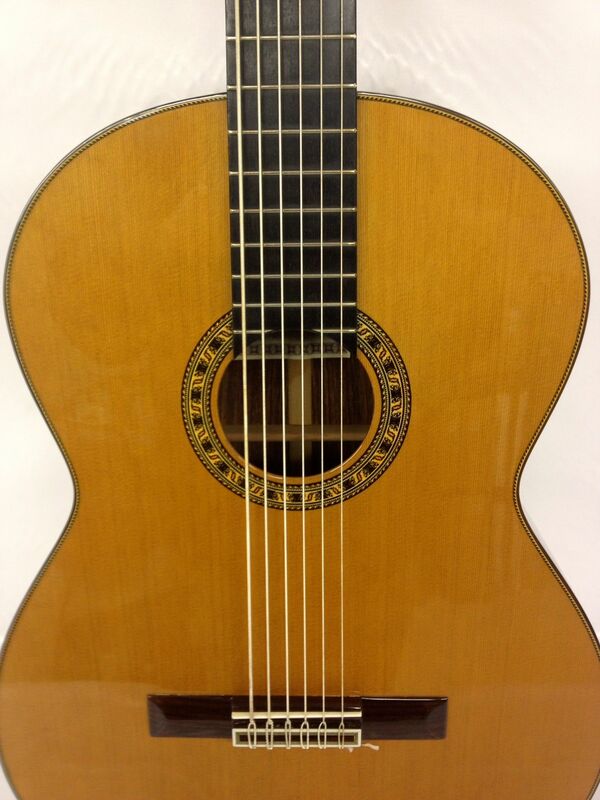 All 6 strings of the PS70 are tuned an octave below the A string tuning of a Requinto classical guitar. With this tuning it is very simple for a player of standard guitar to play the Classical Bass. Free Shipping on all orders to Continental USA!